Today's kitchen designers and architects can select from a variety of countertop materials, such as laminates, granite, and stainless steel; each material is best suited for certain applications. One material may be more scratch resistant; another may be more heat resistant. Along with appearance, cost, durability, and porosity, you should consider these factors when selecting a countertop for your kitchen. You may even wish to use one countertop material in most of your kitchen and a different material, such as a butcher block top, for your kitchen island. 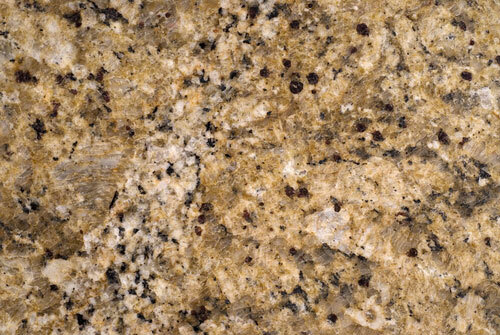 Granite – Granite is a luxury countertop material which adds elegance and beauty to any kitchen. It is a hard-wearing, heat resistant, and durable surface material. However, granite does require periodic sealant applications. Furthermore, it is expensive, vulnerable to stains and cracks, and available in limited sizes and colors. Solid Surface – Corian, Wilsonart, Avonite, and Swanstone are popular brands of solid surface countertop materials which can be custom fabricated to your exact specifications. Solid surface materials are seamless, stain resistant, and are available in a wide variety of patterns and colors. Scratches and marks can be easily repaired. However, solid surface materials are fairly expensive, and their surfaces can be marred by hot pans and stains. Laminates – Laminate countertops made by Formica, Wilsonart, and Nevamar are made of plastic-coated synthetics, are available in standard lengths as well as custom sizes, and have a smooth, easy-clean surface. Laminate materials are durable and affordable, and are offered in many colors and patterns. China and glass are not likely to break on impact. However, chips and scratches are hard to repair, seams are visible, and optional edge treatments can add to the cost. Butcher Block – Wood countertops add a warm, mellow appearance to a kitchen, and they are available in a wide range of hardwoods and finishes. 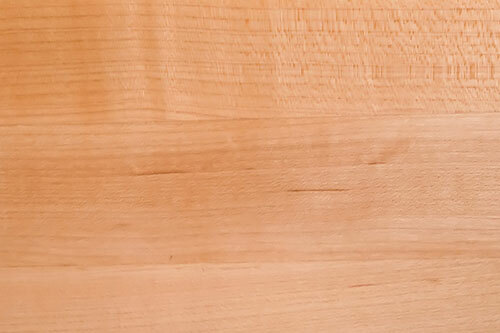 Maple and oak butcher block countertops are popular choices. They are fairly easy to clean and maintain, and can be resurfaced and resealed as required. They are also fairly noise-absorbent. However, wood countertops can stain, scratch, and scorch, and they can be damaged by water if not properly oiled or sealed. Ceramic Tile – Ceramic tile is an inexpensive and long-lasting countertop choice which can be installed by handy homeowners. 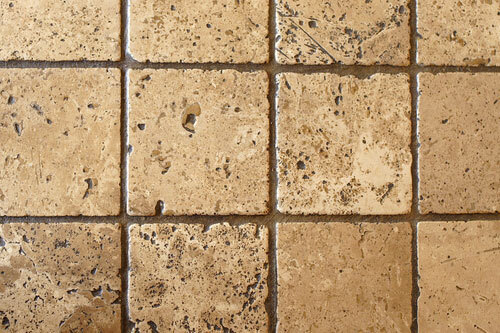 Ceramic tiles resist heat, and are offered in many sizes, colors, and textures. They can add a colorful design impact to any kitchen. However, tiles can sometimes chip or crack, and countertops generally require thicker grade tiles than walls. In addition, ceramic tile countertops may be difficult to clean because of their uneven surface and grout lines. 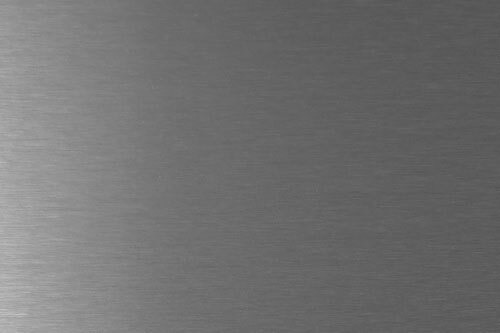 Stainless Steel – Counters made of stainless steel are heat resistant and offer a decidedly contemporary style to a kitchen. 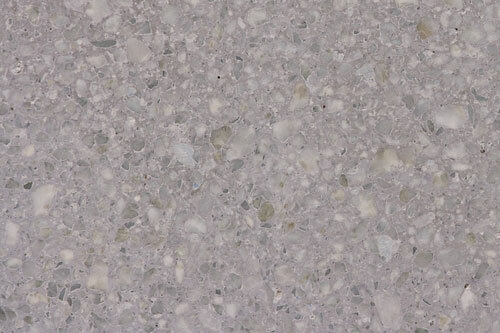 Stainless countertops will be made to your specifications and offer seamless durability. They are durable, hygienic, and easy to clean. However, they are noisy, expensive to fabricate, and may show dents, cut marks, and smudges. Concrete – The recent popularity of concrete countertops is due to improved concrete treatments, additives, and decorative finishes. Concrete resists scratches and heat, and is well-suited for custom shapes and sizes. However, it is heavy, expensive to install, and offers a somewhat industrial appearance. 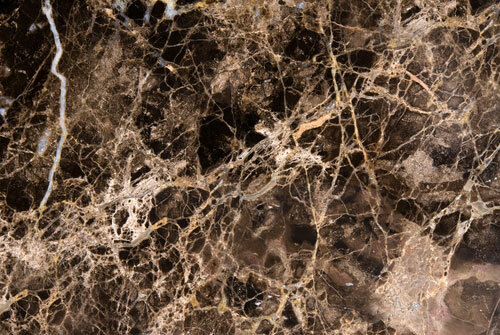 Marble – Seldom seen in an entire kitchen, marble provides a look of luxury to select areas such as islands and a cool, smooth surface for baking and candy-making activities. Marble is waterproof and heatproof. However, it is very expensive, can stain easily, and must be resealed periodically because it is porous. Soapstone – Often seen in historic houses, soapstone countertops and sinks are often found in kitchens today. 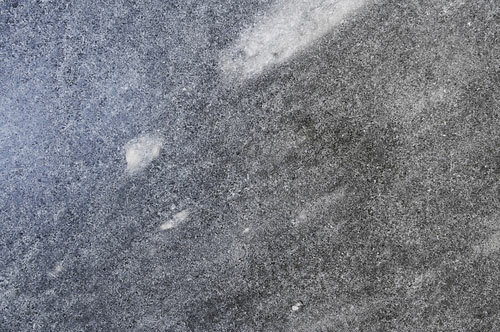 Soapstone is usually a deep, dark gray, has a smooth, talcose feel, and resists stains. However, soapstone must be periodically treated with mineral oil, and even then, it may eventually crack and darken. Engineered Stone – Engineered stone is made from quartz and offers the visual depth of granite; it is available in many colors and patterns. 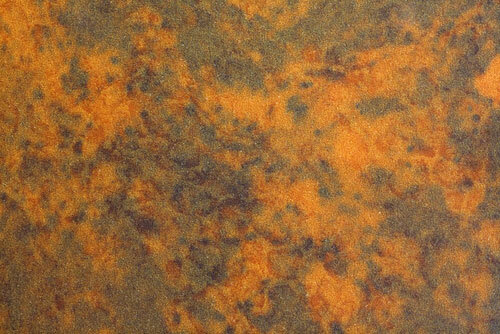 Its nonporous surface resists scratches and stains, is easy to maintain, and does not require sealing like natural stone. Brands include Silestone, DuPont Zodiaq®, and Cambria Quartz. However, these materials are expensive, and they can be marred by hot cookware. Copper – Copper is a good antimicrobial material, and it cleans simply with soap and water. 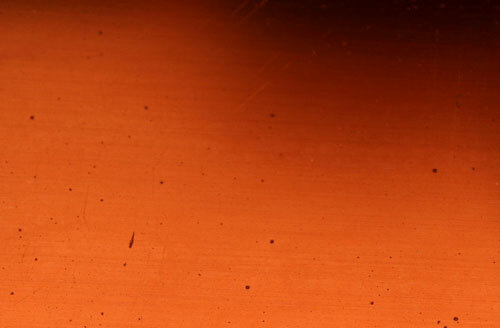 Copper countertops are susceptible to scratches, and they age to a charcoal brown color if left unsealed. However, these scratches and color changes add to copper's natural patina. A copper countertop may be waxed occasionally to preserve its finish and reduce staining. Some countertop materials are still relatively unknown. Bamboo, paper, solid glass, recycled glass, and scrap metal are all being used for countertop surfaces by trendy kitchen designers. Bamboo is durable and renewable, and should be cared for like wood. Paper countertops are formed from resin-saturated paper; when heated and compressed, these durable countertops feel and look like stone. Solid glass countertops can be made in a variety of textures, shapes, and colors; they should be used in non-utility areas that don't get a lot of abuse. 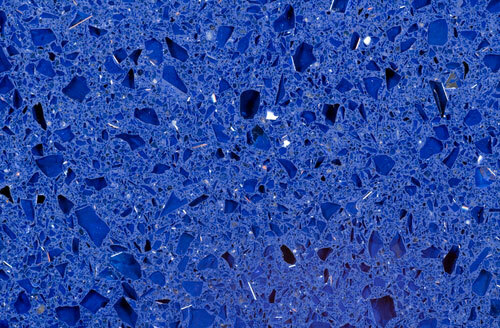 Recycled glass is becoming more widely used for kitchen countertops. The glass fragments are mixed with epoxy or cement and the resulting material is installed like natural stone countertops. Even scrap aluminum is being used to form countertops. Generally, the aluminum shavings are mixed with a resin and cast. 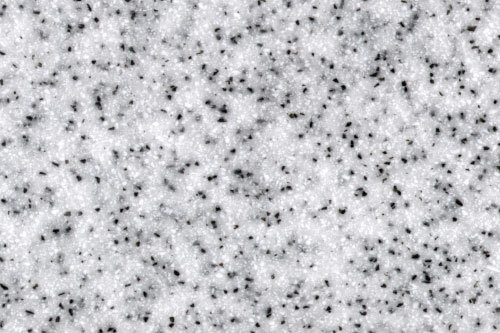 For more information about these trendy countertop materials, visit our Unusual Countertops page.